Captured and sold to the Kurian–allied Maynes Conglomerate, to work as a slave in the coal mines of Appalachia, Ahn-Kha is angered and appalled by the dangerous working conditions, and the brutal treatment inflicted upon his fellow miners. When a protest against shortages is deliberately and bloodily suppressed, Ahn-Kha sets himself against the ruling Maynes family and sets out on a trail of vengeance through the Coal Country. 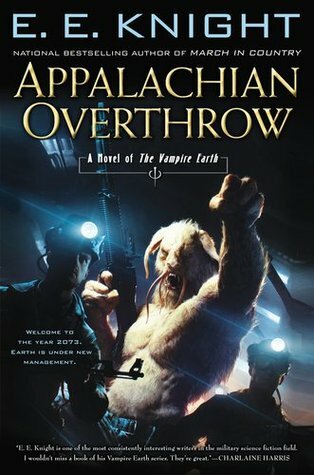 Appalachian Overthrow by E.E. Knight is the 10th book in The Vampire Earth series. 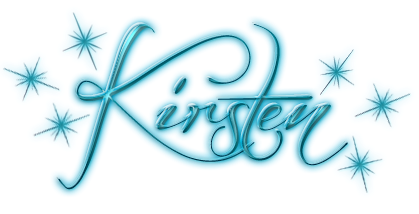 This installment takes an outsider’s perspective of a planet occupied by the Kurians, and in doing so, makes it more accessible to casual and new readers. The Golden One Ahn-Kha is the narrator in this book, and while that does result in the pace of the book being somewhat meandering at times, it does allow new readers ample time to get to know characters, as well as focusing on another side to this world. It should be mentioned for anyone not aware of this series’ history, that the protagonist is usually David Valentine, a interesting character who has fought his way through countless close calls, battled reapers, and tried to navigate sticky political situations. At times he may seem to get away with more than is plausible, but what makes his victory believable is the fact that he has the support of an interesting group. His friends include a Reaper, a Quisling (former, not currently, and that’s a story in and of itself), and of course, Ahn-Kha, Valentine’s best friend. If any character is going to have a fresh take on a familiar character, while engaging audiences, it would have to be one of these individuals, and Ahn-Kha is a great choice. In Appalachian Overthrow, readers learn about Ahn-Kha, an alien who was sent to Earth by the Kurians, separated from everything he knew and loved, and considered by the native earthlings as little more than a common animal. But, it was David Valentine who gave Ahn-Kha a place with him in the resistance against the Kurian Overlords who use vampiric avatars to drain life from humans, who they consider cattle for their needs. Ahn-Kha is given a mission in which he has to go behind enemy lines, and in doing so, conceal his identity and origins in order to survive. In the course of being sent to work in the coal mines, he inadvertently becomes an important member of an uprising that may very well have effects not only on the lives of the miners, but shift the balance of power. In giving readers an inside look, as it were of Ahn-Kha, E.E. Knight allows the world, and its various species to be seen in a different light, giving the series new vigor. This is a world that is at odds, but at the same time, there are friendships formed under these difficult circumstances, and it is these relationships that are ultimately going to bring about change. Overall, the book may feel like it stands alone, but this makes it all the more essential in fleshing out the series as a whole.